Amarilys Acosta: Daughter of Smoke and Bone - To Wish or to Hope, that is the question. Daughter of Smoke and Bone - To Wish or to Hope, that is the question. 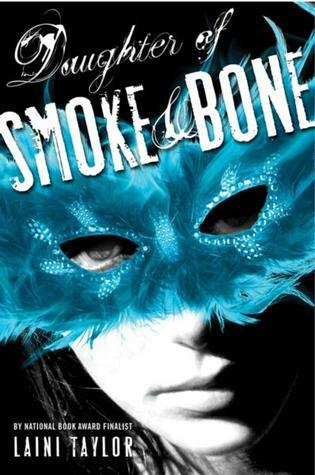 At first glance, Daughter of Smoke and Bone is made up ofenchanting prose of the descriptions of Prague, a full cast of unique and quirky characters, and the magic of this other world Taylor created. But as with any book worth its time, a closer read brings to question a very important debate. The wish versus hope argument is one that Taylor carries throughout the book. It deals with the wisdom of using wishes to acquire what you want, or actively working toward your wish. After we meet Karou, it only takes a few chapters for us to realize that she uses wishes to solve most things. Sure. Why not? It’s easy and she has an endless supply of them from Brimstone who lets her replenish the scuppies on her necklace. But like with any magic, it has a price. Only Karou, and therefore we don’t know what the price is. So, Karou wastes wishes on trivial things like making her hair grow blue and erasing pimples (Taylor 37). That’s not so bad, right? The problem is she also uses wishes for vindictive reasons, like making a girl’s eyebrows continue growing, and giving her ex an itch. At this point in the story, we begin to question Karou and her wishes. Taylor makes sure we do, by presenting Brimstone’s disapproval to Karou’s dependency on wishes. It’s also Brimstone that teaches Karou about a stronger thing than the magic of wishes. He tells her about hope. Brimstone says he doesn’t wish, because “wishes are false. Hope is true. Hope makes its own magic” (Taylor 143). Yet Karou seems to go for the instant gratification of wishes. That is, until she learns the real price of a wish. It’s Akiva who tells her the truth about wishing. He says, “It’s not free, Karou. Magic has a price. The price is pain” (Taylor 221). Scuppies, shings, lucknows, gavriels, and bruxis, each one requiring more and more pain to grant bigger wishes. At one point Karou asks Akiva why pain and not another feeling like joy which is harder to come by. By the end of the novel she understands the reason. Joy may be harder to come by, but pain was “more powerful than joy,” more powerful “than anything” (Taylor 417) except for hope itself. Hope is what drives Karou to enter the portal into the Elsewere and go in search of her family. She could’ve kept hunting for gavriels or bruxis and wish for her family back, but Karou chose to act for once. I grew up with people telling me books like these—popular fantasy, scifi, young adult novels—were only pleasure reads, nothing important. But I’ve always found they have little wisdoms to teach if you look close enough. Taylor’s message of ‘work towards what you want instead of wishing and waiting for it to happen’ is simple enough that it doesn’t eclipse the story. Instead, it adds to it. I can only hope that my novels carry significant messages like this one day. Taylor, Laini. Daughter of Smoke and Bone. New York, Little Brown and Company. 2011.